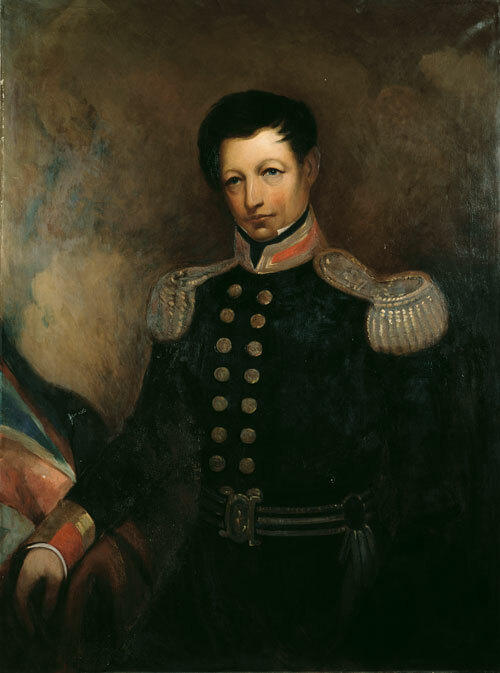 New Zealand's first governor was the British naval officer William Hobson. In 1838, aged 46, he was selected as Britain's consul (diplomatic representative) in New Zealand, and as lieutenant-governor of any parts of the country that Māori agreed to place under British rule. On his arrival in January 1840 Hobson proclaimed himself lieutenant-governor of the missionary settlements already established in the Bay of Islands. Māori chiefs were invited to a hui at Waitangi to discuss signing a treaty with the British Crown. The story has always been that Captain William Hobson was the first Lieutenant Governor of New Zealand. This indeed is well substantiated but it may be of interest that there is good evidence that Captain David Buchan was the first Lieutenant Governor Designate of this country. The Colonial Secretary, Lord Glenelg in his letter to Sir George Gipps 1st Dec 1838 indicates that he had approached a suitable candidate, and hoped to be able to make an announcement shortly. It has always been assumed that this referred to Hobson, but my family research indicates Buchan as being Glenelg's choice. Captain Buchan captained the East Indiaman, 'Kellie Castle', and happened to be in Calcutta when he was suddenly called back to England. He was expected home by December 1838. Unfortunately the ship that he was on, the 'Upton Castle' was last seen off Cape Argulhas on fire, and was never heard of again. Captain Buchan had been placed on the 'Appointments register' by Glenelg in December 1835, awaiting a suitable position. He had served many years on the Newfoundland Station. He had led a North West Passage Arctic Expedition in 1818, and had been acting Governor of the island on a number of occasions. His final appointment in Newfoundland was as High Sheriff. What was of particular significance was the fact that he was the highly regarded 'go to man' of the Colonial Department in dealings with the indigenous Beothuk Indians. Glenelg was concerned with the treatment of the indigenous Maori in New Zealand as much as he was, the protection of the pakeha settlers. Buchan had proved himself adept in both fields. My recent book, 'Under a Southern Sky', presents the compelling evidence of 'the Governor who never was'.